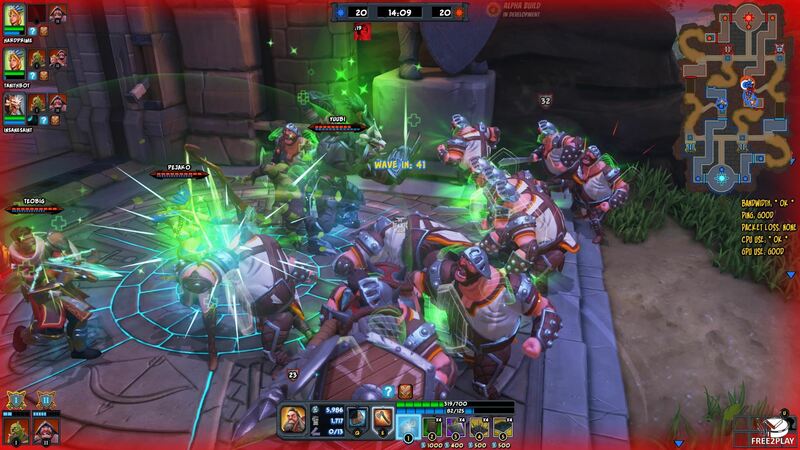 Orcs Most Die: Unchained is an action MOBA where players must assaulting an enemy fortress with their friends, Guild members and allies while protecting their own at the same time. 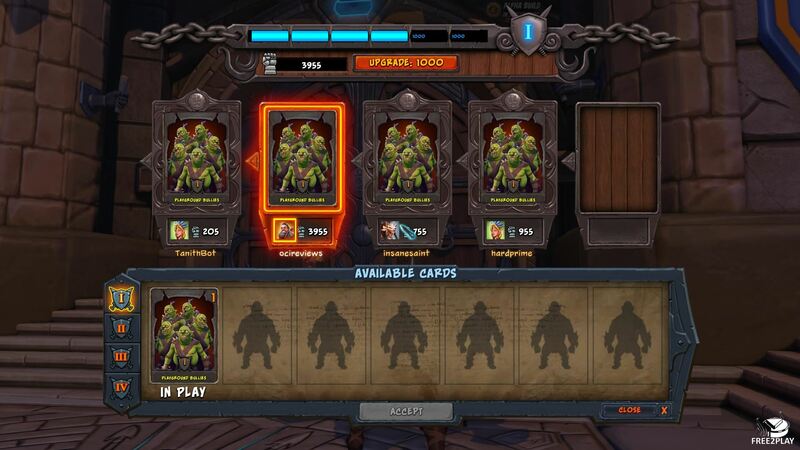 The game is free to play and combines MOBA, tower defence and card collecting game mechanics. There are dozens of mighty heroes in the game, starting with a selection of free heroes with different skins, and players can unlock more heroes through gameplay. Heroes can use melee or ranged attacks or sometimes a combination of both and each with their own original traits and personal abilities that make each hero completely unique in play style. In battle heroes are controlled by players or AI. The game revolves around defending your team's base and attacking the enemy's with your customized heroes, as players play they will be able to unlock new features, gear and more. Players can play against AI controlled heroes or other players and they can set traps and other elements from tower defence. 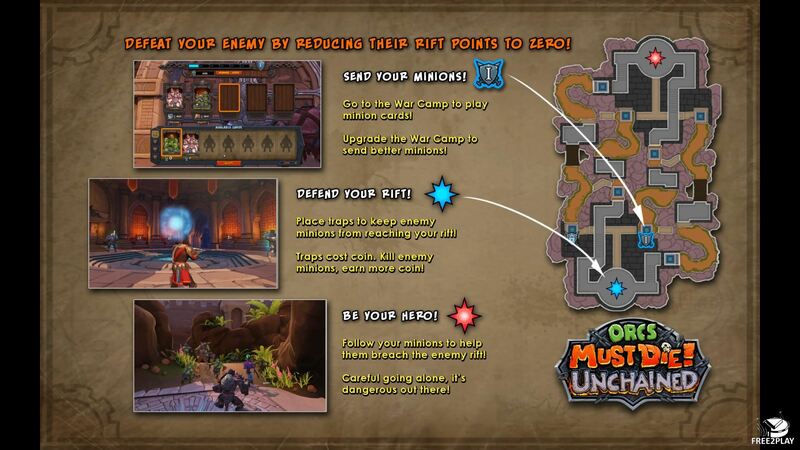 Players must break down the opposing teams defences, consisting of traps, extremely strong AI guardians, endless waves of minions and other players in an attempt to get 20 of their own minions into a portal in the enemies base. All that while trying to stop the opposing team from doing the same thing. To be successful in the fight players must master the art of being both a defender and an attacker to be victorious. 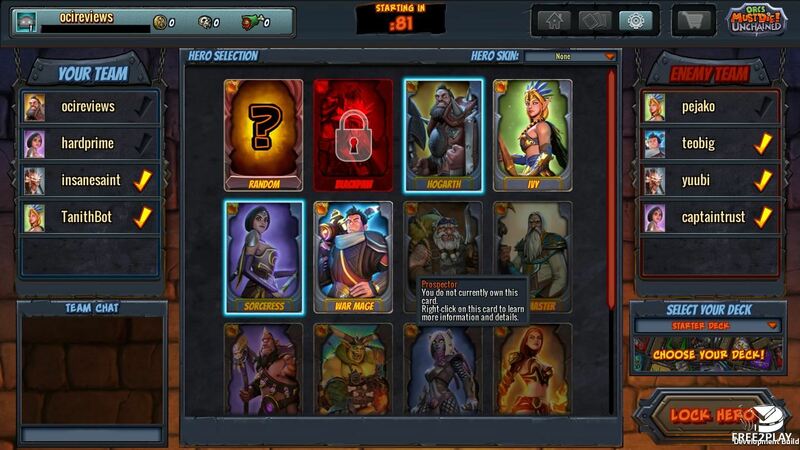 Players can customize their heroes using a wide selection of cards that they can either unlock or purchase and enable them to equip their heroes with a variety of traps, minions and items they can use during a battle.